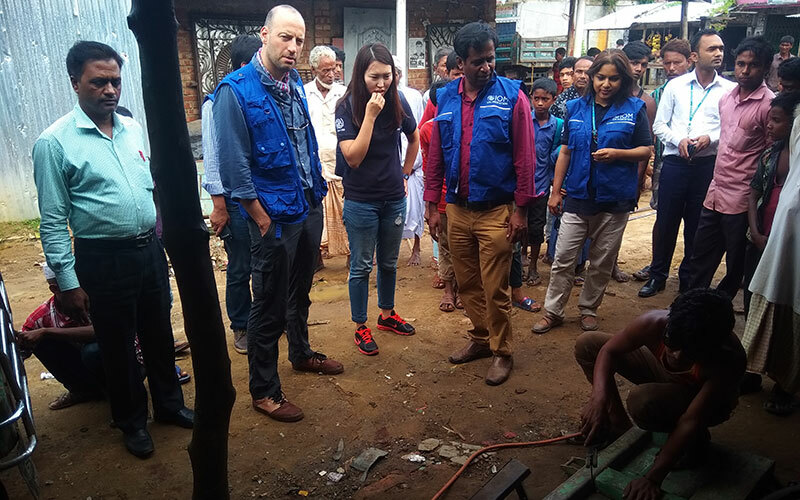 Chief of Mission of the International Organization for Migration (IOM) in Bangladesh Mr. Giorgi Gigauri visited YPSA’s intervention of “Building Resilience of Returning Migrants from the Andaman Sea through Economic Reintegration and Community Empowerment in Cox’sBazar” during 9-10 September 2018. National Program Officers of IOM Mr. Lutful Kabir and Ms. Farzana Lubna; Chief Executive of YPSA Mr. Md. 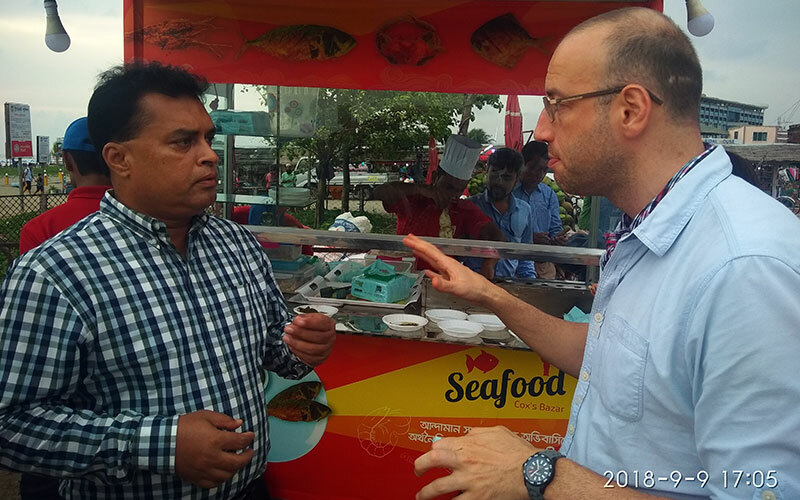 Arifur Rahman; Project Manager Mr. Jasim Uddin and other senior officials from IOM accompanied him during his visit. 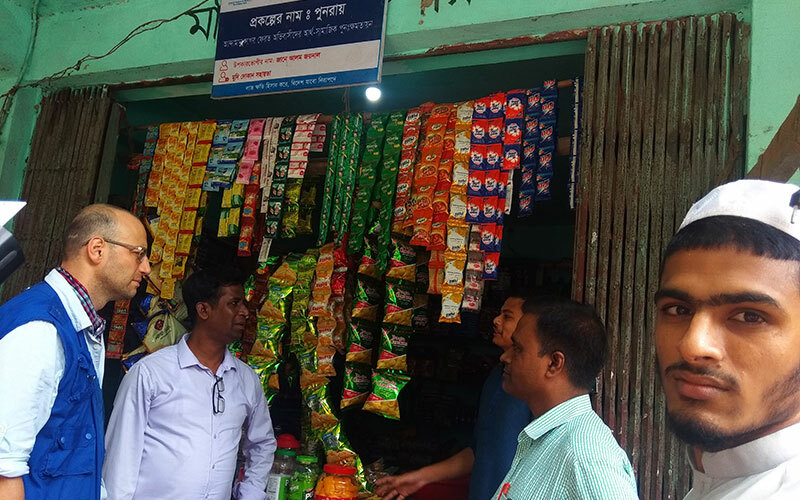 On 9th September, the team visited some initiatives of project beneficiaries including the cattle farm of Noman beside BGB camp, grocery store of Jane Alam at Khamar Para, battery-driven auto rickshaw of Shahabuddin, Red Crab Selling at Khurushkul and mobile van of Red Sea Food at Kolatoli beach of Cox’s Bazar. 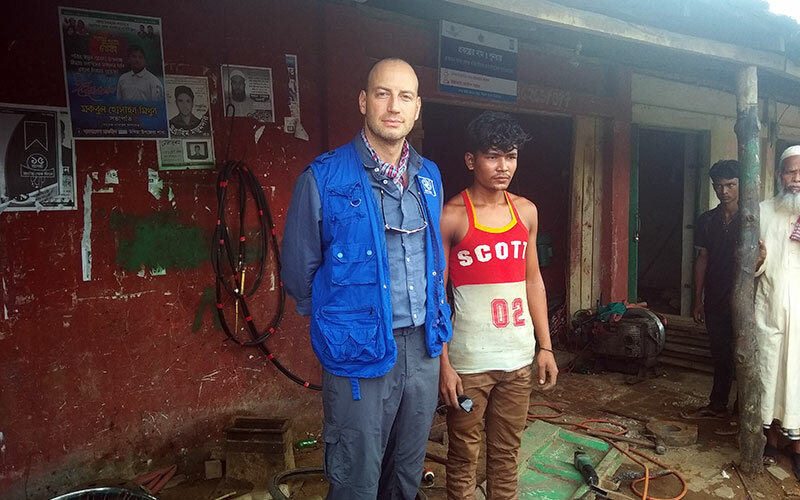 On 10th September, the team visited the engineering workshop of Abdul Khalek at Ukhia, plantation of betel-leaf of Monirul Alam at Ramu. Mr. Giorgi Gigauri asked the beneficiaries how much the income earned from the business and what training they received. He also discussed their financial position and how they run their business. He thanked the beneficiaries and YPSA for implementing these activities nicely.